Q：What's the encryption method of Passkeeper? A：In the process of data storage and network transmission, Passkeeper uses multiple encryption techniques including AES256 and multiple verification techniques to ensure your password information is secure. A：The saved passwords will sync to the Cloud after encryption, and won't be affected by changing devices. Q：If my Maxthon Account's password has been stolen, what should I do? A：If you find your password has been stolen, please change to a more complicated password immediately. In "Devices Records" of Passkeeper, you can see your devices login records clearly, and any strange login records will also be very clear. Q：If Maxthon's server is hacked, what should I do? A：The data stored in the Cloud has been double-encrypted, it even can't be seen by Maxthon's internal staff, and it's hard to be cracked by hackers. Q: Why do I need to add message verification when the Passkeeper has already required login password? A: To protect users' privacy and improve security. Passkeeper's SMS verification feature can verify identity on multi devices, and hence greatly optimized the security of Passkeeper. 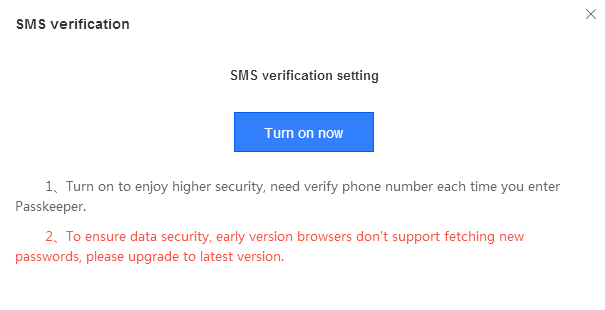 Q: If I registered with my email address, can I use the Passkeeper SMS verification feature without connect the phone? A: The users who registered with email address can only enable Passkeeper's SMS verification feature after connected mobile phone number with his/her account. Q: How to enable Passkeeper SMS verification feature? A: Enter the Passkeeper's main page after imputing the password to log in, then click the upper right corner's "Security info" ---> "Enable SMS verification"--->"Enable now", the users have to connect their phone with their account first. 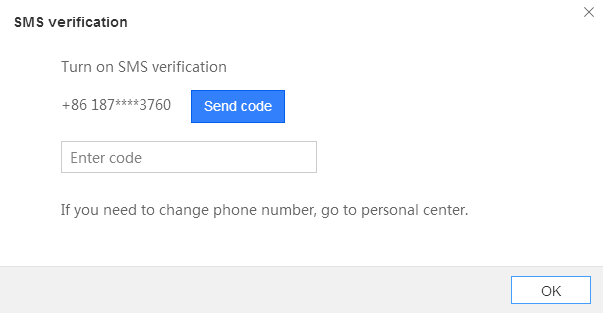 Click "send verification code" and then enter the correct verification code, then click "confirm" to enable Passkeeper SMS verification feature.